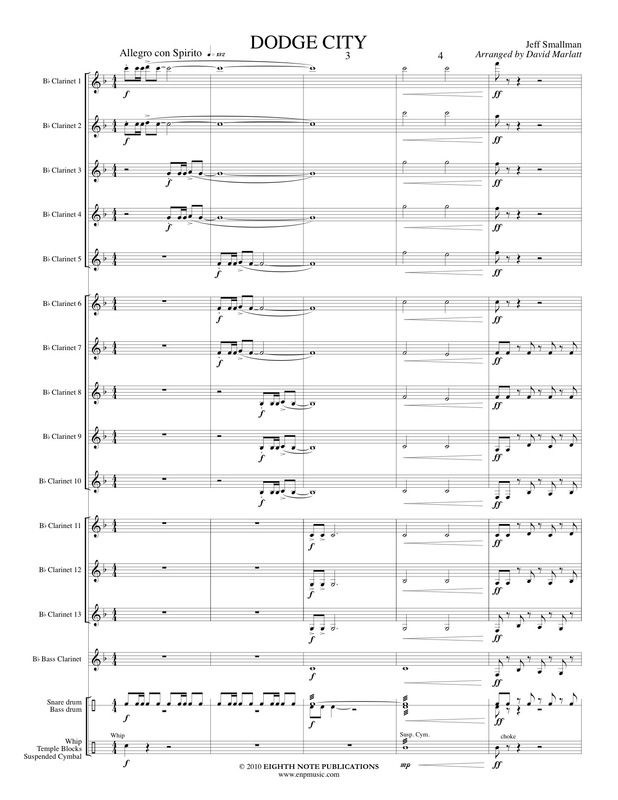 Dodge City is an exuberant piece, arranged here for 13 clarinets, bass clarinet and optional percussion, designed to take you back to the time of the old west. As the title implies, this is a work that will bring to mind stagecoaches and sagebrush, cowboys and cactus, sheriffs and showdowns. Quick and lighthearted, the opening and closing sections frame a lyric middle section. Dodge City has captured the atmosphere of a bustling city from the old west and is sure to captivate performers and audiences alike.